A few days ago, Italy Book Tours kicked off Nuccia Ardagna's new book Going Against the Grain: Italian Style. I just love that title! 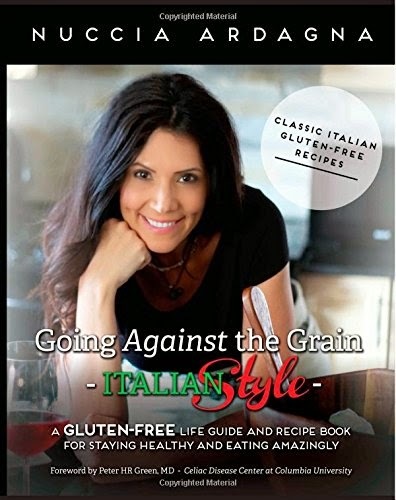 A second-generation Italian living in Montreal, Nuccia has shared her journey from being diagnosed with Celiac to learning to live with this illness by adapting the recipes she grew up with so that they are gluten-free, and of course, delicious! 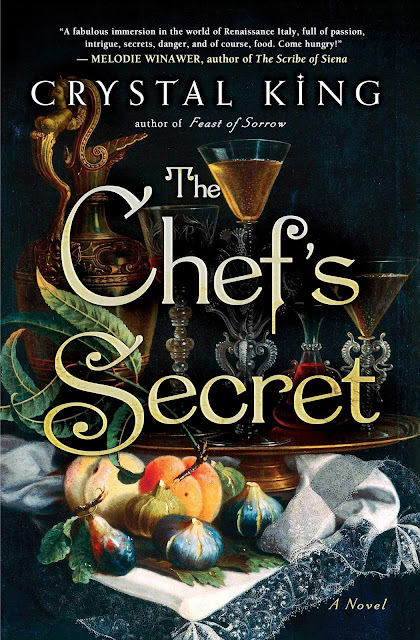 To read my review of her book, and one of her recipes, please visit Nuccia Ardagna's page on Library of Clean Reads. I made the Cauliflower Crust Pizza and it was mouth-watering good! 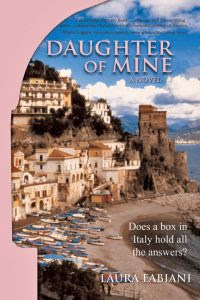 I decided to ask Nuccia more about both her writing journey and her Italian roots. Please help me welcome Nuccia to Essentially Italian! EI: What prompted you to write a cookbook, when there are so many on the market? NA: There are tons of cookbooks out there and let’s face it, we aren't reinventing the wheel when it comes to recipes. When it comes to the recipes I share in my book, I pride myself on the fact that they highlight a huge part of my heritage. These recipes aren't all just Italian, many of these are truly authentic and native to Sicily that go back many generations. When I say that I grew up with my family cooking, baking, making sauce in the fall, making wine, marinating our garden vegetables in mason jars, I hope the reader can really sense that I am a simple first generation authentic Sicilian girl who’s just wanting to share these delights with them. Many cookbooks out there are labeled “Italian” and personally I think that term is severely overused, but I can truly say that every single one of those recipes are foods we ate every day at home. We ate well. Most of them are naturally gluten-free which is great while others clearly had to be modified. EI: You decided to self-publish. Tell us the process you followed to make sure the quality matched that of other cookbooks on the market. NA: That’s a great question! It might surprise you to know that I wasn't a big reader at the time that I decided to write a book, however, I did have a few cookbooks lying around. So as far as quality was concerned I knew what I needed to deliver! When I decided that I was going to write a book, I took a virtual online 3-day course that gave me a solid understanding of the process of writing and promoting a book on Amazon. I wasn't sure of the process of working with a publishing house so I decided that I would do it on my own. I followed the course outline, downloaded a template and began typing up a storm. I did online research for the medical part of the book, however most of the first part was drawn from personal experience. I reached out to TME (Topic Matter Experts) for added credibility and was honored to have had the foreword provided by a renowned doctor in the field of Celiac disease. The recipe part of the book was the most extensive and the part that took the longest time. There was the cooking, writing up the recipes and of course, the pictures, which that in itself was a big task. After all, we wanted the dishes to come alive through the pages of the book! My husband took care of that part. He’s not a professional photographer but took the project very seriously and made it his own! From there, I found a graphic designer to create the cover, spine and back cover and he was also the one who did the page layouts for me. When it was completed the file was sent to me, where I then uploaded it to Createspace. Createspace is the print division of Amazon. They are super easy to work with and they make it virtually idiot-proof. It was a real pleasure working with them! I can’t begin to express the emotions I felt when I received my first ‘proof’ copy in the mail. I was ecstatic! It had really exceeded my expectations, and if you know anything about me, you’d know that I am a perfectionist with very high standards. I took my book to some renowned book stores and compared it to others in its category and I was extremely confident that it held its own! EI: Some of the recipes are from your grandmother who came from an era where the word gluten-free didn't even exist. Was it difficult to adapt these recipes? NA: You are absolutely right! The term ‘gluten’ or ‘gluten-free’ was not even known to them. Other than the pastas, pizza and cookies and cakes most of the recipes are naturally gluten-free so that wasn't an issue at all. When you think of mussels in marinara sauce, or stuffed cabbage rolls or risottos these are naturally gluten-free which was an added bonus for me and my new lifestyle. The only recipes that needed to be modified, were the ones that I mention in the beginning. I could very well start making my own gluten-free pasta, but unfortunately I don’t have the time so I have to rely on brands that manufacture such products. That too, was not easy, as finding ‘delicious’ GF pasta was not easy and that really is a personal preference. Some may like the brands I chose and some may not and that’s fine too. When it comes to pasta, there are a few varieties to meet anyone’s tastes. The pizza was the hardest. While we can make GF crusts using GF flour we can certainly find lots of alternatives online and one that we enjoy a lot is the cauliflower crust. You can make it with zucchini as well. Desserts? That too wasn't a problem. With the right combination of GF flours and yeasts they are not a problem. I share a few great recipes in my book! EI: You call yourself a true Italian to the core. What does that mean to you? NA: As I mentioned earlier, I sincerely feel that the term ‘authentic’ and ‘Italian’ are severely overused. To me a true Italian is one who was raised in Italian traditions (no matter from what part of Italy they or their parents are from), understands and lives the culture and carries it on in his or her own life. The other really big part for me, that identifies a ‘true’ Italian is if you can speak the language. I can’t tell you how many times I've come across people who say they’re Italian and just when I’m about to switch the conversation over to it they quickly stop and say ‘oh no I can’t speak it though’. And that bothers me. I also see many situations where Italian grandparents now living in Canada for so long ‘learned’ how to speak English and that became pretty much the language in the home to ‘accommodate’ the grandchildren. That bothers me too. My grandparents spoke Sicilian at home and that was that. My parents only spoke Sicilian and Italian at home and that was that. There was no compromising on what the language of communication was at home. Outside of the home was a different story but inside our home we all spoke our mother tongue. So it doesn't really matter if you’re first or even second generation, if you can keep your heritage and culture alive by means of what you eat, how you speak and the traditions you carry on in your life you demonstrate that you are truly Italian to the core. I am proud to say that I am one of these. EI: Are you working on another project? I am responding with a loud and resounding YES! I felt there was a need to educate those who entertain family and friends on how to cook gluten-free so with these ones in mind I am co-authoring a book which will focus strictly on how to entertain gluten and dairy free and will feature incredible simple to elaborate menus. Stay tuned! EI: Thank you, Nuccia, for sharing all this with us! I look forward to your next book. To read reviews of Going Against the Grain, please visit Nuccia's page on Italy Book Tours.